Although we shifted to Port Chalmers, Dunedin, nearly a year ago, the stories were still circulating of a Hollywood movie that had come to town in 2014. Michael Fassbender and Alicia Vikander fell in love while filming LBO. Dunedin filled in for the fictional town of Partageuse from M.L. Stedman’s best-selling book The Light Between Oceans, with 15 locations around the city used for the film. 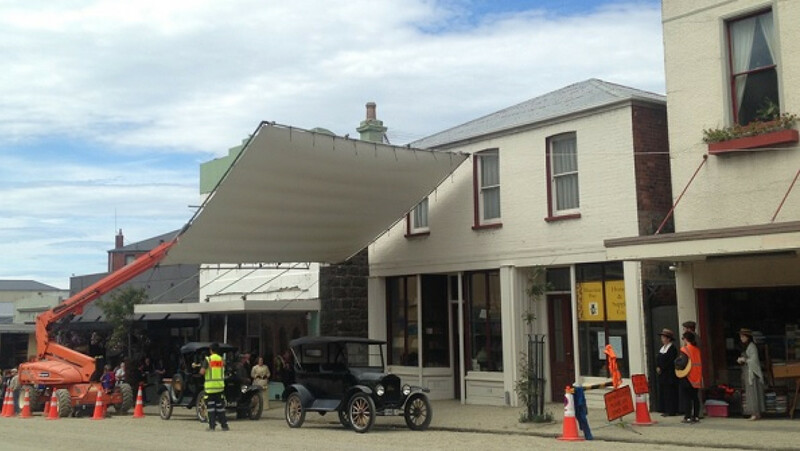 Director Derek Cianfrance is renowned for his emphasis on authenticity, and the historic buildings of Dunedin had the period details to imbue the film with a very real sense of place. The most recognizable (and public) locations from LBO are all just a short drive from Dunedin’s city centre, including our own little Port Chalmers. Mainly known as a working container port, the main street of Port Chalmers is dwarfed by two giant cranes that load and unload containers on the dock. Summer sees the advent of cruise ship tourists, who are bussed into town to visit the Railway Station and the Cadbury factory. Only a bold few tourists hang about to trawl the local secondhand stores. But historic Port Chalmers with it's old stone buildings and shabby-chic main street was chosen for two prominent town scenes in LBO. Locals crowded the boundaries of the set to see Oscar-winner Rachel Weisz, who plays the role of Hannah Roennfeldt, as she made her way up the street. 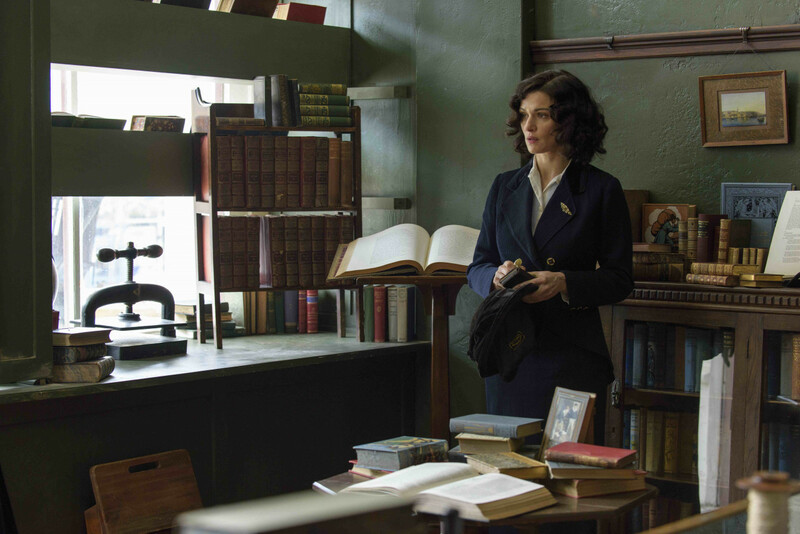 Rachel Weisz as Hannah Roennfeldt inside the refitted Port Chalmers shop. If you're in town wander up to 25 George Street, Port Chalmers to see the shop used as the bookstore where Hannah meets her future husband Jack. Perhaps one of the most emotionally charged scenes of the film is when Isabel (played by Alicia Vikander) encounters the daughter she has had to relinquish in the haberdashery store. A short stroll up Grey Street, just off the mainer, will take you to the site which still sports the 1920’s-style gold lettering advertising ‘women’s undergarments’, that was purpose-painted for the film. Inside the Grey Street Haberdashery. A local couple's basement was entirely refitted for the film. The building is owned by locals Keely McGlynn and Pete Cole, who remember looking down from the upstairs windows of their house on the filming taking place below. Vintage cars drove up and down the gritted street and extras were kitted out in 1920’s clothing. St. Barnabus Church, Warrington as seen in the film. One of these extras happened to be Alistair Wright, who is also Warden of St. Barnabus church in Warrington, a beautiful English-style country church, used in a prominent sequence of the film. This is the kind of film set I love: it's immediately recognisable and apart from all the souls at rest in the graveyard, you're guaranteed to have the place to yourself. This is the cemetery where Tom Sherbourne (Michael Fassbender) sees Hannah Roennfeldt (Rachel Weisz) grieving at the grave of her husband and young daughter. The Harbourmaster’s house is an iconic location from LBO. In the film we see a gorgeous Edwardian villa perched on an inlet, the entrance marked by a pergola with an abundance of draping purple wisteria. In fact, it’s so pretty you’d assume there must be a fair bit of movie-magic involved in its creation – well, kind of. Clever camera angles mean that the nearby powerlines, road and houses have been cleverly removed in the film. 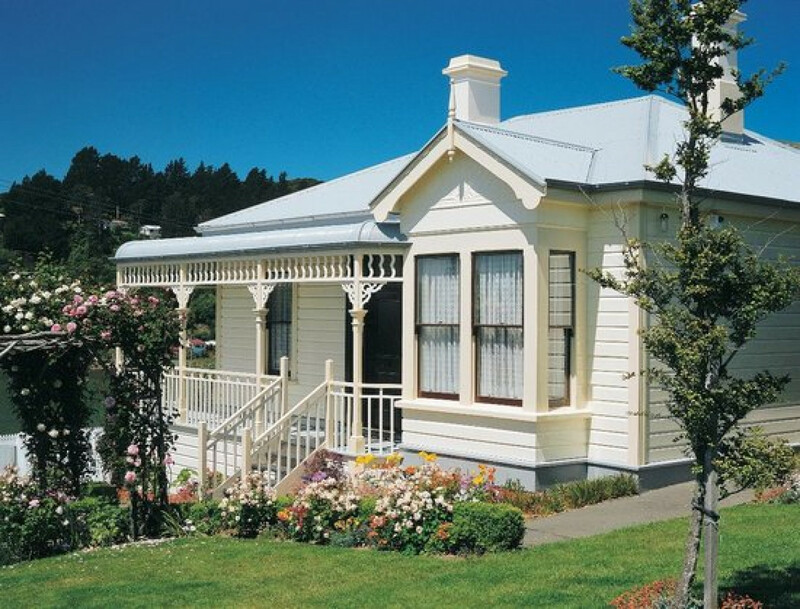 The house appears as itself, simply transported back in time to how it might have looked 90 years ago. Historic Fletcher House at Broad Bay. Fletcher House in Broad Bay is open to the public (weekends only), so if you take the winding coastal road out to this historic house and venture inside, you’ll recognize the heavy lace curtains from the dining scene in which Isabel and Tom sneak glimpses of one another across the table.